Not many people can carry off the layered look. Typically über tall, skinny minnies suit the look best. For all us non-super models - and mere mortals - successful layering can take some mastering. In England you have to expect the unexpected. We rarely have sun but when we do, everyone gets a little too excited and dusts off their sunglasses / flip flops ready. Which then usually scares off the sun. But we won’t go there. It may be sunny, but step outside and it’ll be freezing. UK weather never makes any sense. Layering if mastered, can provide great security and versatility. You can add / remove layers as you please throughout the day. And if done right, layering can also help to balance out certain figures. Long torsos can be broken up. Larger hips and bums can be concealed. But be warned: Do not over do it if you’re not blessed with height – or you’ll risk looking even shorter. … use too many colours – or you’ll look like a rainbow. And not in a good way. What should I layer with? There are lots of bloggers who do layering well but sometimes I question how warm their outfits actually are. 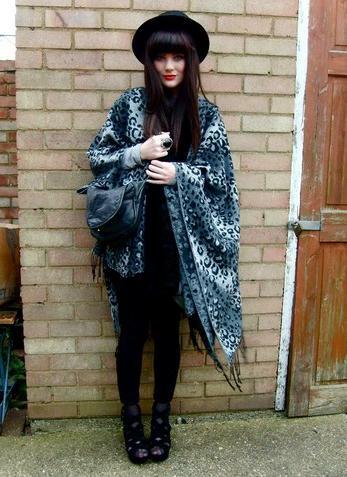 The point of layering is to be warm after all! 4. 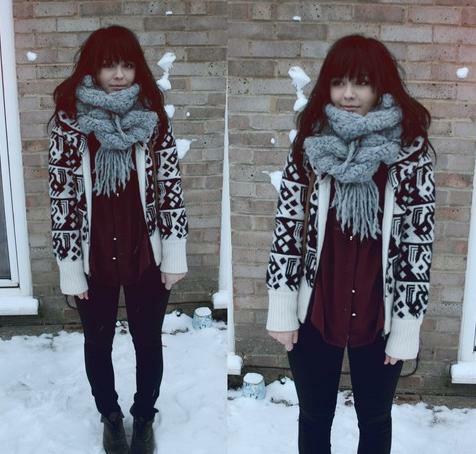 In LOVE with the cardigan and chunky knit scarf. Great combinations of colour. In (very) exciting news, I had an interview with the Gucci Group this week :) It was a true “pinch me” moment. I then received a call inviting me to a second (and final) interview later this week. It’s now between myself and one other person. Crazy huh? Keep your fingers crossed for me! 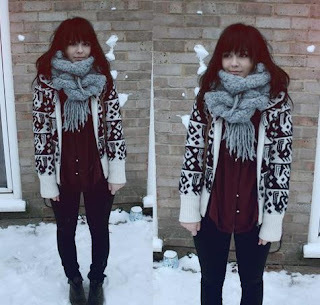 good tips for layering, all the pictures are lovely outfits. and good luck for your interview that's amazing! I'm hopeless when it comes to layering. Thanks for the tips. 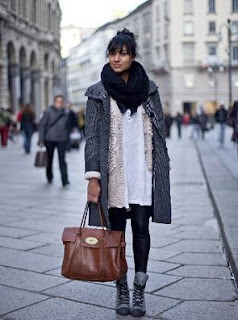 I love this post and I love layering. I love layering. But I always get too attached to how the final outfit looks, & then don't want to remove any layers throughout the day if it gets warmer - which kinda defeats the object of wearing layers! Best of luck with the interview - how exciting!? Do you know of Susie Bubble (Style Bubble), Lucy? She is MAD on layering. Although 80% of the time I wouldn't wear what she does (different taste and level of fashion confidence), her outfits are always very creative. These are some great images to have a good old peek at. I recently got a really lovely old cardy from a charity shop, very 80's and I can't stop wearing it! First of all, congrats on your interviews! That sounds really cool! I'm not actually sure if I layer much or not. Probably not, because yeah, I'm worried about obese city too. I love me a good chunky knit sweater, though...put it on over a maxi dress, and that's enough layers for me! Oh, and for the record, I want that girl's cape. NOW. Ah-mazing post, agree with everything you said!